For featured books, see the Trinity Library articles in the Tower Newsletter. 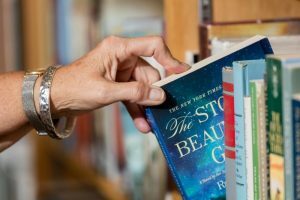 Access the on-line Trinity Library Catalog to browse by the Author, Subject, Title and for Large Print catalog versions. The Library Committee maintains a paper catalog card for each of the 4000+ titles in our Library. The data is then entered into the online catalog and Author, Title, and Subject catalogs are printed each year on about April first. The print catalogs, found in four in loose-leaf binders on top of the Primary shelves in the Library area, serves as the index/catalog to the collection. 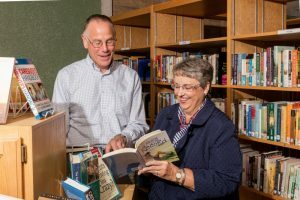 The Trinity Library is managed and maintained by a subcommittee of the Communications Committee and open to any member of Trinity Lutheran church who is interested in supporting the mission of the subcommittee. For more information, please call the church office at 715-344-2869.